Are you having problems with syncing your head set to your base station? Do you hear 2 beeps when trying to use your head set? It sounds like your having a issue syncing your Plantronics headset to your base station. Try putting your base station in muti-shift pairing mode. Some examples that can cause a sync issues are your out of range of the base station and try to use the headset, battery dies, unit is unplugged. 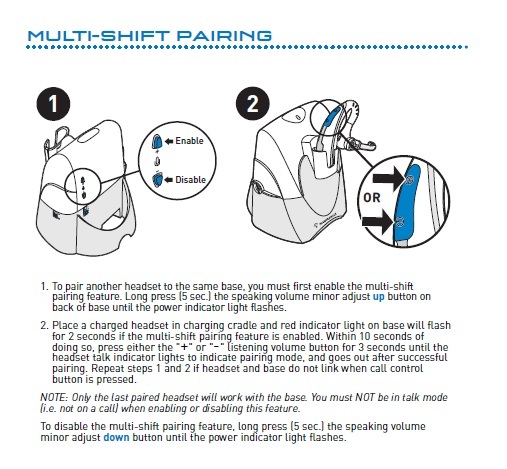 See the image below to turn on muti-shift pairing.